Magical history tour will cater for several languages. A history tour in several languages has been launched to encourage people to come to the city. The Local Tour Operator launched daily audio tours of Stonehenge and ancient Wiltshire. Join them on a journey as they travel back 5000 years in time. 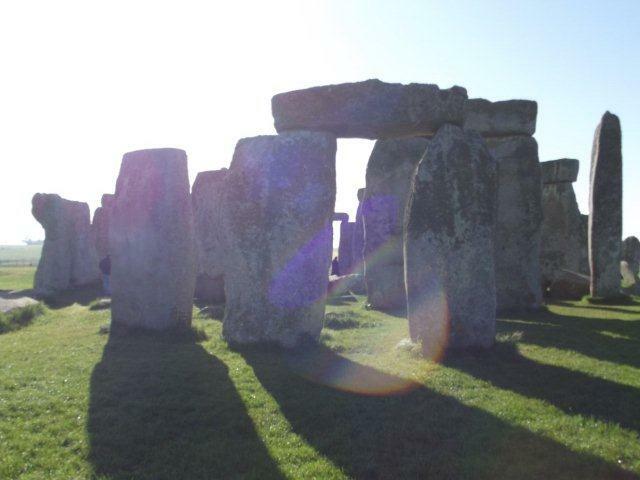 Daily at 09:30 from the centre of Salisbury our “Magical History Tour” sets out to discover the mysteries of Stonehenge. 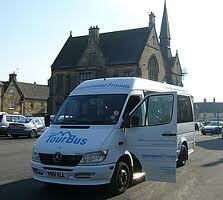 This is a an alternative to joining a coach tour from London. On your return you will have seen some of the most beautiful English countryside, been fascinated by Stonehenge, seen Old Sarum the iron age fort which was the earliest settlement here and finally viewed the Cathedral from a special place, missed by most tourists. They look forward to welcoming you on board. Why not catch a train from London and join this local tour. Our experience at Salisbury, Stonehenge & Sarum Tours ensures that you return home with lasting memories of the day when you stepped back in time. We have a selection of tours to meet all tastes from Cruise Guests with limited time to the visitor wanting to enjoy all the wonderful sites more leisurely. We also have our “Magical History Tour” to Stonehenge, which runs daily at 09:30. Commentary in English, German, French and Italian. No tour to England would be complete without a tour of Stonehenge. Where is Stonehenge? Stonehenge is situated near Salisbury in the county of Wiltshire. Stonehenge is a Neolithic stone circle which even today is still shrouded in mystery. Salisbury Stonehenge and Sarum Tours specialise in arranging multilingual tours of Stonehenge and surrounding places of interest including Salisbury and Old Sarum. Salisbury, Stonehenge and Sarum Tour Guides are all local people who have been especially trained to achieve our “Yellow Badge” standard. We meet our guests in the mediaeval city of Salisbury and you travel to Stonehenge in one of our modern vehicles. The Stonehenge Tour from Salisbury Stonehenge and Sarum Tours will no doubt be one of your most memorable trips. So when you travel in England make sure that you take one of our tours to Stonehenge. We are also specialists catering for Southampton cruise passengers and their airport transits. The tour lasts 3 hours during which time you will have available multi lingual commentary in English, German, French and Italian. Disposable earphones are provided but feel free to bring your own personal ones with you. You will be given a tour program with maps describing you tour. Firstly we drive along the picturesque Woodford Valley along a route too narrow for large buses where you will pass through traditional English villages with thatched cottages. You will see the homes of some very interesting and diverse residents. We shall tell you more about this as we drive along. Before we arrive at Stonehenge the bus will make a short stop so you can see the location of the newest discovery: Blue Stonehenge. Upon arriving at Stonehenge your guide will take you to the entrance where you will receive a multi lingual audio tour. You may now spend time pondering the mysteries of this World Heritage Site, buy souvenirs and purchase refreshments. We shall stop here for 60 minutes, but if the weather is bad guests find that 45 minutes is sufficient. We now drive across “Salisbury Plain” on our way to “Old Sarum”. This area has become a “Hotspot” for “crop circles” and UFO’s”. In spring and early summer it is quite possible that you could spot a crop circle but UFO’s might be more difficult to find. At Old Sarum, the original Iron Age settlement of Salisbury you will learn how the Celts, Saxons, Danes, Vikings and Normans all lived here. 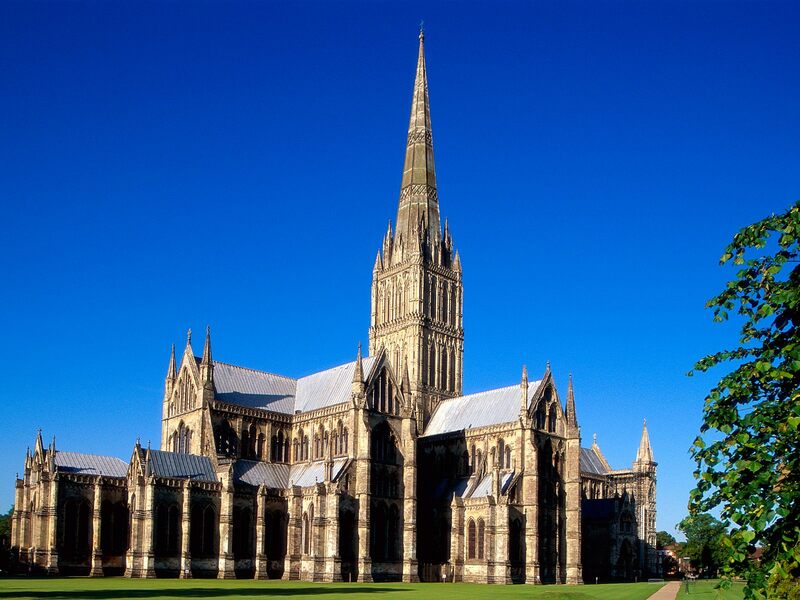 Look and enjoy the magnificent 360° vista and look down on the medieval city of Salisbury. Our last stop is at the “Harnham Mill” because it offers wonderful views of the magnificent St Mary’s Cathedral. Regrettably many tourists never see the Cathedral from this aspect, often being bussed into the city from London before being “whizzed” off to their next destination. It is from here that the respected English artist John Constable chose to depict Salisbury Cathedral in his famous paintings. At this point we offer you the option of leaving the tour and walking along the town path, through the water meadows, into the City. It is a gentle and flat 1,200 metre stroll which takes no more than 15 minutes. Your Tour Program highlights the interesting wildlife, which can be seen in the water meadows, which is a nature “Preservation Area”. For those returning to Salisbury with the bus, our drive takes 5 minutes and we shall drop you off where we started, in the Guildhall Square. Heading to London this summer? Yeah, so is everyone else. This week, Jaunted’s London embed, Lilit Marcus, will share some definite destinations for getting out of town and out of the crowds. If you can make it through a visit to Stonehenge without making a Spinal Tap joke, you’re a better person than I am. The stone formation, built by Druids during the Bronze Age, is still one of the world’s great wonders as well as a UNESCO World Heritage site. That said, it’s also kind of in the middle of nowhere. Though there are plans to build a more convenient rail route out to Stonehenge, currently the only way to get there is by car. There are several tour companies who will take you there and back from London and it’s also quite common to combine this with a trip to Bath, which is the route I took. Because most of us have seen pop culture references to Stonehenge, the expectation is that the mysterious rocks are huge and majestic. It’s not huge, but it’s definitely still majestic. The series of stones was believed to be a burial ground (human bones have been found there) but there are plenty of other theories, namely that the location of the stones helped to determine the calendar because of the way the light fell during different times of the year. Once you’ve fully circled the formation and gotten the necessary Facebook photos in front of the Heel Stone, there’s not much else to do but check out the gift shop and cafes.The shop includes specific Stonehenge gear like books, magnets, and even lollipops (they’re blackurrant flavored), as well as Englishy treats like knit blankets and boxes of tea. Getting a history rundown and a stuffed Wilshire sheep in one quick jaunt seems like a pretty good deal, and you can be back in London before dinnertime. Take our Stonehenge, Glastonbury & Avebury tour and experience the history and mystery of some of the most famous pilgrimage sites in the South of England. From Neolithic Stone Circles to the ancient Glastonbury Abbey (King Arthur and Queen Guinevere’s supposed final resting place). You will visit the ancient Stone Circles of Stonehenge & Avebury which have both been drawing visitors for over 5000 years! We also take you through the history of King Arthur and visit famous ruins of Glastonbury Abbey, with time to explore the nearby village. Our stop in Avebury gives you plenty of time to enjoy this ancient site’s atmosphere & perhaps have a pint at the famous Red Lion Pub located in the centre of Avebury Stone Circle. The Red Lion is on the Top Ten list of the most haunted pubs in England! 7.25am-7.45am Pick ups London Zone 1 – at time of booking please specify your requested pick up location. 6.30pm – Approximate arrival back in Central London. · Stonehenge, a World Heritage Site and one of the most famous historic & tourist attractions in the UK. · Glastonbury & the mythical ‘Avalon’ to discover the mystery, chivalry and romance of King Arthur where you have a chance to explore the ruins of Glastonbury Abbey & Glastonbury village with its medieval buildings and unusual shops catering to wiccans, pagans, witches & hippies! Stonehenge, one of the wonders of the world is an ancient stone circle that has drawn visitors from all over the world for over 5000 years! What’s left to see today are the substantial remnants of the last in a sequence of such monuments erected between circa 3000BC and 1600BC. There has always been an intense debate over what purposeStonehenge once served, it is certainly a focal point in a landscape filled with prehistoric ceremonial structures. The site is now an official World Heritage Site. A legend tells of how Joseph of Arimathea brought the Holy Grail toGlastonbury and built a simple church on the site of this great abbey, possibly the first Christian church in England”. 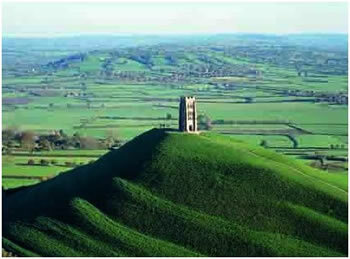 Glastonbury, in addition to many other places, has been linked to King Arthur. This link at Glastonbury though, is in death rather than life. Arthur was the legendary English King ‘Arthur of the Britons’. He was raised by the wizard Merlin and when only a boy (after many men had tried and failed) Arthur gained the throne by withdrawing a magic sword Excalibur from stone. The nearby CadburyCastle supposedly became his ‘Camelot’. After his many exploits and stories concerning his Knights, the Round Table and the Holy Grail, he was wounded at the battle of Camlan. This was around the year 542 and he was then taken across the water to the Isle of Avalon for his wounds to be healed. Legend proclaims that after Arthur’s death a strong spirit haunted the ruins of the Abbey. Appearing as a black armoured knight with red glowing eyes and a desire to eradicate all records of the ancient Arthurian legends, which is why (it is said) that those seeking to discover the truth find so few facts. Glastonbury is also home to one of the worlds largest performing arts festivals & is famous as a ‘mecca’ for modern day hippies, pagans & witches! Avebury is the site of a huge henge and several stone circles in the English county of Wiltshire which surround the village of Avebury. It is one of the finest and largest Neolithic monuments in Europe dating to around 5,000 years ago. It is older than the megalithic stages of Stonehenge, which is located about 20 miles to the south. The henge is aScheduledAncientMonument and a World Heritage Site. The pub is 400 years old and located at the centre of the Avebury stone circle where every six weeks a pagan festival is held. It is in the Top Ten list of most haunted pubs in the country and has been seen on TV as such. The main ghost is that of an old landlady “Florrie” who was supposedly killed here by her husband. – please ensure we have a valid contact phone number/email address that you will have access to in London the day before. Take a Stonehenge coach tour with Golden Tours and find out why this landmark has amassed such renown and status. Choose a special access tour for a truly unforgettable experience, with entry to the very core of Stonehenge itself. A world heritage site, Stonehenge is perhaps the most momentous of all the UK’s ancient landmarks. An extraordinary, almost overwhelmingly divine yet somehow obscure ambience pervades incomparable Stonehenge. These 40 tons of rocks have stood on Salisbury Hill for roughly 5,000 years. What was the purpose of Stonehenge? Was it used as a religious temple or possibly even as a Bronze Age burial ground? 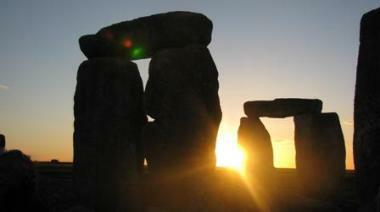 With Golden Tours, you can decide between a Stonehenge morning tour or an evening tour. For the most ineffable, unutterably remarkable experience, however, you may want to take our Stonehenge special access tour. This grants you entry to the circle, for close proximity to the stones and a truly unsurpassed Stonehenge tour. Visit beguiling Roman Bath and Lacock. The pastoral village of Lacock, dating back to the 13th century, overflows with its own charming appeal. It was a pulsating town for wool trade manufacturing during the Middle Ages. Bath was the first town in the whole of England to be afforded World Heritage status, and it is not hard to see why: it is pervaded with grandiose Roman ruins. Marvel at its varied imposing and noteworthy structures, such as its world celebrated spa, Pulteney Bridge (based on Florence’s Ponte Vecchio), and striking Bath Abbey. There are a profusion of Stonehenge coach tours from London. Golden Tours’ offers a sweeping range of choices for tours, from Stonehenge, Bath, Windsor tours to the outstanding value ‘Simply Stonehenge’ tour. Yet, for the finest experience, choose Stonehenge special access tours. As has already been indicated, Stonehenge special access tours are arguably the most worthy tours to embark upon, as these will allow you to get much closer to the stones than you would on a standard Stonehenge tour. A comprehensive variety of package day tours can fit the wishes of anyone who intends to experience for themselves the extraordinary marvel that is Stonehenge. For example, you can also try a Stonehenge, Bath, Windsor tour, and explore all three of these enchanting places. The highlight of Windsor is unquestionably Windsor Castle, a breathtaking structure that has enthralled inestimable numbers of visitors for centuries. Theories flourish as to why exactly Stonehenge was built. See why it has motivated such debate: go on one of many Stonehenge tours from London. Are you engrossed in the innumerable mysteries that encircle Stonehenge? Continual theories have spread as to why and how it was constructed, for what purpose it was built, and this imposing landmark has mystified many for centuries. Stonehenge tours from London are a perfect choice for those who are particularly deeply captivated by ambiguous, inscrutable Stonehenge, as such Stonehenge tours give you the ultimate experience.